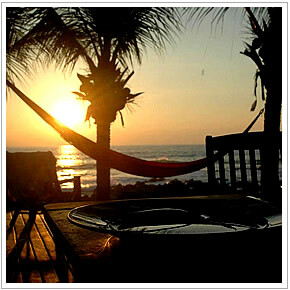 Merece Tus Sueños is a small tropical ocean front resort near the quaint village of Troncones. Troncones is small town situated in the southern Pacific coast of Mexico. 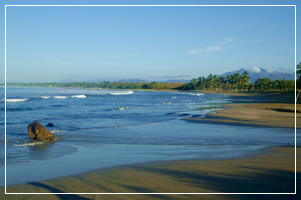 This pristine beach area is highlighted by the Sierra Madre del Sur mountain range as a backdrop. Troncones is located approximately 20 kilometers north of Ixtapa/Zihuatanejo The Zihuatanejo airport has daily international flights. 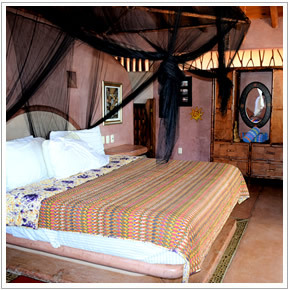 The resort has four individual suites, a private bungalow, and a garden view casa each with a king bed. In addition there are five single daybeds for a total capacity of 15. There is a separate fully furnished kitchen building, dining area, swimming pool, large deck, and a two story portcullis for guest use. The open air design and traditional Mexican architecture make the resort a unique vacation destination. The units can be rented individually or the entire resort may be rented for a secluded family or group vacation. You are welcome to come and relax in the tropical paradise of Merece Tus Sueños.